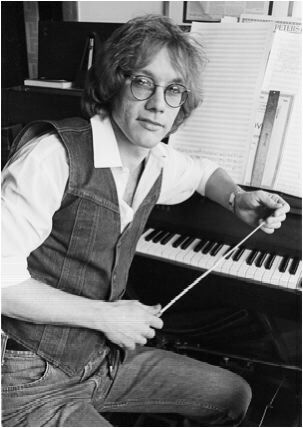 In yesterday’s post, Aaron mentioned Warren Zevon and included an embedded video of Zevon’s most well known song, “Werewolves of London.” The sardonic and hilarious song was released on Zevon’s breakout album Excitable Boy in 1978 and it reached the #21 spot on the American Top 40 charts in mid-1978. “Werewolves of London” was Zevon’s only appearance on the chart, but let’s ignore popularity charts and just discuss the wonder that was Warren Zevon and the utmost joy that others will always have when they listen to “Werewolves of London” and any of his other lyrical masterpieces. Zevon’s grasp on lyrics was strikingly apt and vivid. David Letterman, who was Zevon’s good friend before Zevon died of cancer in 2003, described his music as “evocative,” and I think that is a good adjective to use. Zevon’s folk was not classic, but edgy. His lyrics were unconventional and enjoyably morose. He also had the ability to turn off the playful and upbeat hits and bathe listeners with soft melody and heartbreaking lyrics. The man truly had it all and his talent is often overlooked. And it is a shame that Zevon had a life-long aversion to doctors. He died at the young age of 56. Enjoy every sandwich. Wish I had said that.